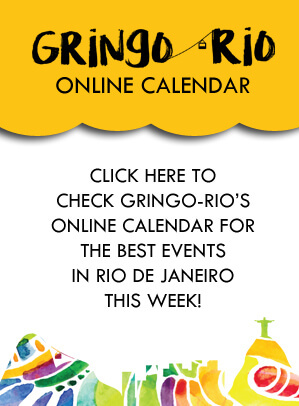 Welcome to the 15th weekly newsletter from Gringo-Rio. As the World Cup is heating up with quarter finals we have some really nice winter weather in the city! With the quarter finals starting Friday the 4th the city has changed a little. Supporters from knocked out teams have gone home, tensions are getting stronger! On another note, the indexed consumer confidence in the Brazilian economy has not been this low since 2003, retail has gone down significantly and it seems like the country is bracing themselves for tougher times. In fact I think this is a good thing considering there is an election coming up later this year, the probability that the elected part has to produce a quite radical economical program to win has hopefully gone up a bit. If a party wins on the strategy to give out free houses, higher public salaries and benefits I think that the country will only delve deeper in to a recession that argueable already is existant. It would be very nice if the more valid points made by protesters would be heard, in my view those regarding proper public education and infrastructure. Football: Friday the 4th of July there are two huge games. First out in Maracanã is Germany playing France at 13h. At 17h Brazil play Colombia in Fortaleza. On Saturday Belgium take on Argentina 13h in Brasilia and 17h Holland will play the tournament sensation Costa Rica in Salvador. Not only will Brazil have to beat a well playing Colombia to advance, next game will be either against Germany or France… On Tuesday is the first semi final. Public transport: The buses that normally would run on Rua Visconde de Pirajá are temporarily running on the beach avenue Vieira Souto. During the event, especially when Brazil plays or there are games in Maracanã, everything works a bit different. 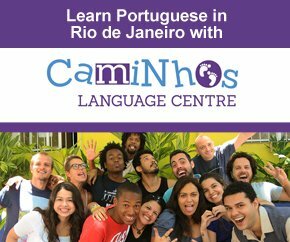 Nightlife: The best nightlife guide in English is The Rio Times Nightlife Guide, just click the link. Fruits of the week: Strawberries are cheap and good, apples and pears are quite affordable and tasty. You can also get oranges at really good prices! Exhibitions: For those into modern art there is one exhibition that might be of interest. Works from the the famous German art collector Peter Ludwig is on exhibition on Rua Primeiro de Março 66 in Centro, open Wed – Mon 09h/21h, free entrance (bring id). The exhibition ends on the 21st of July. Here you can see works of greats like Andy Warhol, Jean-Michel Basquiat and Roy Lichtenstein.